My Three Cents: When Is An Apology Effective? When Is An Apology Effective? What weight hath an apology? It depends on whether it is an effective apology or an ineffective one. How would we rate Tiger Woods or Joe Paterno and the many others who have issued statements of regret? Do they qualify as effective? Not as effective as they could have been. Misstatements are made frequently, not only by celebrities, but by captains of industry and leaders of firms. As public relations counselors, we advise clients on how to apologize with impact, gradually converting potential enemies into friends. 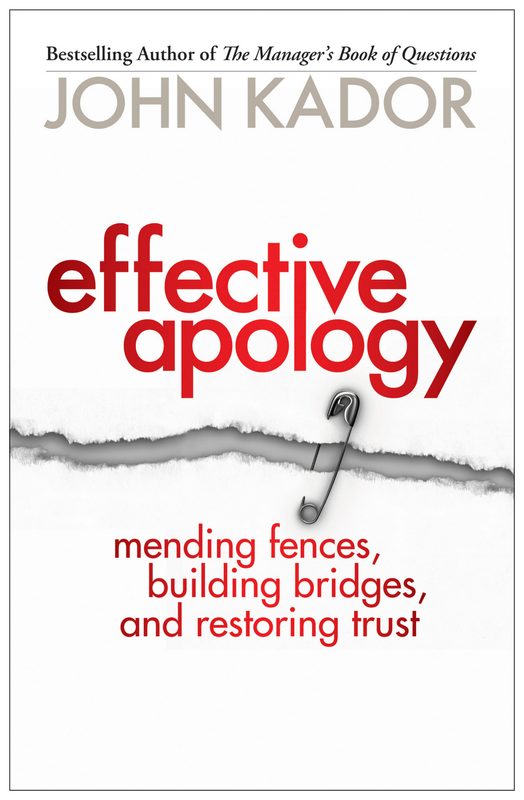 The staff at Makovsky recently had the good fortune to discuss the particulars of an effective apology in a discussion led by John Kador, author of the book, Effective Apology. Fundamentally, the person who recognizes that he or she has offended someone (or a whole group of people) must value the relationship more than the need to be right, in order for the apology to be truly effective, Kador says — and I agree. If you can occupy that space, the value of the relationship will increase… particularly in the US, where people are generally forgiving of mistakes, if you fess up quickly. If you want to start rebuilding trust: Tell it fast. Tell it first. Tell it all. Tell what you are going to do about it to change. Woods, Paterno and a whole host of others violated these rules. Despite their simplicity, I see them violated over and over again. •Recognize and specify the offense. •Never use conditional words or the passive voice (e.g., “sorry if I offended you,” “missteps were made”). •Offer restitution for the offense (e.g., “I will only practice and sanction ethical behavior”). •Finally, live up to the promise. If you violate it again, you are dead meat. 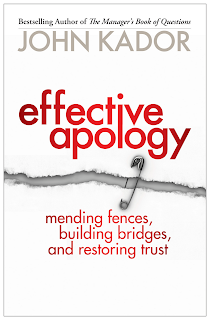 In conclusion, an effective apology is not cost-free; it’s just less costly. Penn State: Whose Fault Is It?